DDT is probably the single most valuable chemical ever synthesized to prevent disease. It has been used continually in public health programs over the past sixty years and has saved millions from diseases like malaria, typhus, and yellow fever. Despite a public backlash in the 1960s, mainstream scientific and public health communities continue to recognize its utility and safety. DDT’s delisting for various uses in the United States in 1972 was a political, not a scientific, judgment. After decades of extensive study and use, DDT has not been proven to be harmful to humans. But by 1997, its future looked bleak. Environmentalists were pushing for it to be banned worldwide, and its most articulate champion, the South African Department of Health, stopped using it. Surprisingly, DDT recovered its reputation, and in 2006 the World Health Organization (WHO) championed it again. But celebrations have been short-lived. The momentum to increase DDT use has stalled for lack of increased political and financial support. Bill and Melinda Gates recently called for the eradication of malaria. They were supported in this ambitious demand by Margaret Chan, the head of WHO. The first attempt to eradicate malaria in the 1950s relied almost solely on the chemical DDT; the latest attempt probably will not. But until a cheap and effectual vaccine is available, DDT will still have a crucial role to play. DDT, the scientific name of which is dichlorodiphenyltrichloroethane, was first synthesized by Othmar Zeidler in 1874, but it was not until the 1930s that a scientist working for a Swiss chemical company discovered its insecticidal properties. Paul Mueller happened upon it when looking for an insecticide to control clothes moths. He sprayed a small amount of DDT into a container and noted the slow but sure way it killed flies. He wiped the container clean, but when he added new flies, they died, too. Mueller soon realized he had come across a persistent, powerful residual insecticide. Dusting stations were set up around the city, and in January 1944, two delousing stations dusted 1,300,000 civilians. Within three weeks of the dusting (along with other less important treatment and vaccination programs), the epidemic was under control. The number of civilian cases was halved in the first week alone. The Allies administered more than three million applications of DDT powder in Naples. We have discovered many preventives against tropical diseases, and often against the onslaught of insects of all kinds, from lice to mosquitoes and back again. The excellent DDT powder which had been fully experimented with and found to yield astonishing results will henceforth be used on a great scale by the British forces in Burma and by the American and Australian forces in the Pacific and India in all theatres. Malaria is a parasitic disease that has plagued mankind for centuries. Today the disease is mostly confined to tropical and subtropical areas of Africa, Asia, and Latin America, but this was not always so. Until the 1950s, malaria was widespread in Europe and North America, and epidemics were even recorded above the Arctic Circle. In 1898, Ronald Ross, a medical doctor stationed with the British army in India, discovered that mosquitoes transmit malaria. Shortly thereafter, a leading Italian zoologist, Giovanni Battista Grassi, identified the specific genus of mosquito (Anopheles) responsible for transmitting the malaria-causing parasite. The knowledge that mosquitoes transmitted malaria gave public health experts a powerful new way to control the disease: targeting the mosquitoes as the carriers–or vectors–of the parasite that causes malaria. Insecticides, notably pyrethrum, had been used in malaria control prior to DDT. They were sprayed on the inside walls of houses where the Anopheles mosquito rests after feeding. The mosquito takes up the insecticide while she rests on the wall and the toxicity kills her. One of the significant limiting factors of this form of vector control–known as indoor residual spraying (IRS)–was that it is labor-intensive and therefore expensive, especially since the insecticides used before DDT had to be sprayed every two weeks. DDT, however, lasted for over six months. This long-lasting residual action meant that a malaria control team could cover many more houses and protect far more people. When used in malaria control, DDT has three separate mechanisms: repellency, irritancy, and toxicity, which together are remarkably successful at halting the spread of the disease. Repellency is the most important mechanism, and along with DDT’s long residual time, it makes DDT superior to other insecticides. Its repellency qualities have long been known, but they have largely been forgotten by the malaria-fighting community. The United States funded “vector control”–that is, control of mosquitoes–for much of the early twentieth century and had considerable expertise and experience in this field. Infectious diseases such as malaria, yellow fever, and dengue were common throughout most parts of the United States until the 1950s. Drainage and larviciding are the methods of choice in towns of 2,500 or more people. But malaria is a rural disease. Heretofore there has been no economically feasible method of carrying malaria control to the individual tenant farmer or share cropper. Now, for the first time, a method is available–the application of DDT residual spray to walls and ceilings of homes. Mosquito control officers in the United States used DDT in two ways: as a residual insecticide on the walls of houses and as a larvicide. The results were dramatic. By 1952, there were virtually no cases of malaria transmitted domestically, in contrast to the 1-6 million cases just a few years earlier. Of the 437 confirmed malaria cases in the United States in the first half of 1952, only two were domestically caught (the many soldiers returning from the Korean War caused a significant number). Most cases treated in the United States after 1952 were those caught overseas. Just as DDT was being used within the United States, it was also saving lives in Europe, and within a few years, malaria was almost eradicated from Europe. South Africa was one of the first countries to use DDT in malaria control. It started using the insecticide in 1946, and within a few years, the malarial areas had decreased to just 20 percent of those observed in 1946. India’s malaria control program began to use DDT and shortly thereafter saw spectacular health benefits. Between 1953 and 1957, morbidity was more than halved from 10.8 percent to 5.3 percent of the total population, and malaria deaths were reduced almost to zero. After DDT was introduced for malaria control in Sri Lanka (then Ceylon), the number of malaria cases fell from 2.8 million in 1946 to just 110 in 1961. Taiwan adopted DDT for malaria control shortly after World War II. In 1945, there were over 1 million cases of malaria on the island; by 1969, however, there were only nine cases, and shortly thereafter the disease was permanently eradicated from the island. Similarly spectacular decreases in malaria cases and deaths were seen everywhere DDT was used. The United States was not the only country in the Americas to use DDT to great effect. 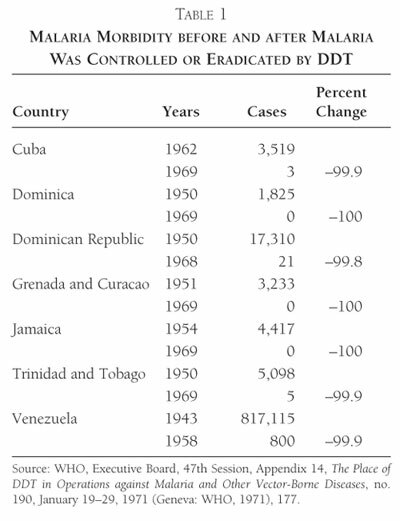 Table 1 details the dramatic impact of DDT on malaria cases in selected countries in the Americas. Notably, success was greatest in island countries, where the vector could be contained most easily. In 1955, WHO launched its own malaria eradication program, based on the extraordinary successes seen thus far with DDT. The program was funded mostly by the U.S. government. In the early 1950s, cases of DDT resistance among various Anopheles species were detected by public health experts. In order to preempt the development of insecticide resistance, WHO proposed to overwhelm the mosquito population with spraying to reduce the population dramatically before any insecticide resistance could develop. This ultimately failed due to donor fatigue, weak public health infrastructure, and poor management. DDT resistance contributed to the failure, but it is often discussed as the only reason the campaign failed, when its contribution in most areas was negligible. The meme that resistance to DDT was the reason for its demise is a key reason why the public health community continues to ignore DDT’s main strength: repellency, which is as far as we know unaffected by resistance. The modern environmental movement began with concerns about DDT. Rachel Carson’s 1962 book Silent Spring questioned the effect that synthetic chemicals were having on the environment. Her argument was that DDT and its metabolites make bird eggshells thinner, leading to egg breakage and embryo death. Carson postulated that DDT would therefore severely harm bird reproduction, leading to her theoretical “silent spring.” She also implied that DDT was a human carcinogen by telling anecdotal stories of individuals dying of cancer after using DDT. In other words, after many months of hearings, DDT was not found to represent a cancer threat to humans, to cause mutations in humans, or to threaten the development of fetuses. DDT was relatively benign, and the allegations against it did not stand up to scrutiny. Although Sweeney ruled that any existing uses of DDT should not be cancelled, he was overruled in 1972 by the administrator of the EPA, William Ruckelshaus, who did not attend one hour of the hearings. According to a report in the Santa Ana Register quoting Ruckelshaus’s chief of staff, Marshall Miller, Ruckelshaus did not even read the entire hearing report. The decision to cancel certain uses of DDT was essentially a political one without any grounding in good science. DDT is not endangering the Public Health. To the contrary, DDT is an indispensable weapon in the arsenal of substances used to protect human health and has an amazing and exemplary record of safe use. . . . DDT, when properly used at recommended concentrations, does not cause a toxic response in man or other mammals and is not harmful. Although many believe that DDT was banned after 1972, it actually was not. It continued to be used in emergencies for pest control, for which exemptions were granted by the federal government, and it is still available for public health use today. In January 1979, DDT was used to suppress flea vectors of murine typhus in Louisiana. As late as June 1979, the California Department of Health Services was permitted to use DDT to suppress flea vectors of bubonic plague. Texas got an exemption to control rabid bats in October 1979. Between 1972 and 1979, DDT was used to combat the pea leaf weevil and the Douglas-fir tussock moth in the Pacific Northwest; rabid bats in the Northeast, Wyoming, and Texas; and plague-carrying fleas in Colorado, New Mexico, and Nevada. State governments, with the permission of the federal government, continued to leverage DDT to protect public health and agriculture. Manufacturing DDT for export was also allowed. Since its discovery, countless millions of people have been exposed to DDT in one way or another. A 2000 article in The Lancet concluded that “in the 1940s many people were deliberately exposed to high concentrations of DDT through dusting programmes or impregnation of clothes, without any apparent ill effect. There are probably few other chemicals that have been studied in as much depth as has DDT, experimentally or in human beings.” Furthermore, since the 1940s, thousands of tons of DDT have been produced and distributed throughout the world, and millions of people have come into direct contact with substantial amounts. Initially, DDT distribution was restricted to soldiers in World War II and those saved from concentration camps in Germany, and then to the general public in the aftermath of World War II. When demand for DDT escalated after the war, a plethora of studies were conducted on DDT’s safety for humans. There are other important studies of those exposed more recently. 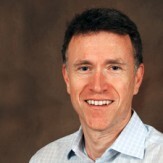 Chris Curtis of the London School of Hygiene and Tropical Medicine has studied the health of Brazilian and Indian insecticide sprayers who had been exposed to DDT. He found that their health “was similar to other men of their age”–in other words, DDT spraying did not noticeably affect their health. You would certainly put your attention on cups of coffee before you’d put your attention on dietary residues of pesticides. You get more carcinogen in one cup of coffee than from a year’s worth of potentially carcinogenic pesticide residues. Pesticides just aren’t something that inherently seem very interesting as possible causes of human cancer. Public health agencies and the written literature have found no strong evidence linking DDT or its metabolites with human cancer. Given the fact that DDT has been used in enormous quantities for over six decades and that many studies into its potential carcinogenicity have been conducted without drawing any evidence thereof, we can be relatively sure that DDT is not responsible for human cancer. DDT leaves stains on mud walls, which was the primary reason South Africa’s malaria control program replaced the use of DDT in 1996 with another chemical class–synthetic pyrethroids–although pressure from environmentalists certainly contributed. What followed was one of the country’s worst malaria epidemics. Over four years, malaria cases increased by around 800 percent and malaria deaths increased tenfold (see figure 1). At the same time, environmentalist pressure against the chemical was increasing. Environmental groups that had previously shown no interest in malaria, such as the World Wildlife Fund, started to profess expertise in alternatives to DDT use–any alternative, as long as it was not DDT. Between 1997 and 2000, member states of the United Nations Environment Program negotiated the Stockholm Treaty on Persistent Organic Pollutants, with DDT as one of the “dirty dozen” chemicals targeted. Green groups wanted the chemical banned and set 2007 as the year for its demise. Ironically, because of the disastrous surge in malaria cases in South Africa, coupled with Johannesburg being chosen as the final negotiating location in December 2000, DDT was not banned; instead, it was to be phased out when “cost-effective alternatives” were available. In 2000, the South African Department of Health reintroduced DDT. In just one year, malaria cases fell nearly 80 percent in KwaZulu-Natal province, which had been hit worst by the epidemic. In 2006, malaria cases in the province were approximately 97 percent below the previous high of 41,786 in 2000. DDT remains an essential part of South Africa’s malaria control program, and the success of its use in that country has encouraged other countries in the region to follow suit. The South African epidemic, tragic though it was, not only ultimately strengthened the case for DDT and IRS in general, but also gave strength to other malaria control programs in Africa that wanted to use DDT and expand their insecticide spraying. In 2000, a private mining company in Zambia restarted a malaria control program that had been discontinued in the early 1980s due to economic constraints. This malaria control program, managed and paid for by the Konkola Copper Mine, was designed to protect over 365,000 people living in almost 32,500 dwellings. Almost 80 percent of these dwellings were sprayed inside with DDT, and after the first spraying season, malaria incidence fell by 50 percent. After the second spraying season, malaria cases declined further by 50 percent, and today malaria mortality at the mine clinics has fallen to zero. 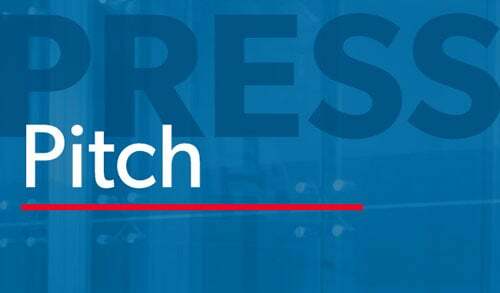 This program has been so successful that other private companies in the region have adopted similar approaches, and the Zambian government–with funding from the Global Fund for AIDS, Tuberculosis and Malaria–has restarted similar programs in five other districts. In July 2005, the Mozambican government started using DDT again. Others have wanted to follow suit. Approximately 93 percent of Uganda’s population, for example, is at risk from malaria. According to the CDC, the incidence of the disease has increased from 5 million cases in 1997 to 16.5 million in 2003. The Ugandan health department has wanted to use DDT since at least 2005, and in January 2007, DDT passed its environmental assessment. But as of October 2007, it has not been used. Today, even some of the largest environmental groups have accepted the WHO position. The Sierra Club officially states that it “does not oppose the indoor use of DDT to control malaria where it is critically needed and proven to be effective.” The Global Fund acts as a funding entity, providing support for projects that an expert panel considers feasible and valuable. Since its inception in 2002, it has provided funds for IRS programs, including the purchase of DDT. DDT is not always the appropriate intervention. In some instances, other insecticides will be better, especially for use outside. Nor is DDT a magic bullet. Other interventions, such as insecticide-treated bed nets, play a useful and sometimes critical role in malaria control. IRS programs with DDT or any other insecticide require a sound health system infrastructure. Some complain that in poor countries with year-round malaria, IRS is not a good use of resources and is not sustainable. In a few settings, spending any money on malaria control of any variety is not the best use of very scarce resources, but it is debatable whether bed-net distribution programs under such conditions have any significant impact on malaria either. As for sustainability, if funding is not found to make a program sustainable, it will not be sustained, whether the program distributes bed nets or drugs or conducts spraying. Mozambique, which has very poor health infrastructure, has managed to sustain a well-run IRS program for over seven years by partnering with neighboring South Africa and Swaziland in the Lubombo Spatial Development Initiative. As a result of this initiative, the country’s malaria burden has dramatically decreased. Regional leaders decided to make malaria control sustainable, and this is what has happened. The voices arguing against DDT have become louder recently, in part because funding for other interventions has come under threat. Countries are using other insecticides in their expanded spray programs, but they are not using DDT. Since the late-2005 turnaround at USAID and the September 2006 statements from WHO about the benefits of DDT, no country has started to use it again. Uganda has come closest so far, but to no avail. Health department malaria experts in Kenya and Tanzania have told me and others that they would like to use DDT, but business continues as usual. Bias in the academic literature is accelerating. A recent article in The Lancet Infectious Diseases alleges that superior methods for malaria control exist–without providing a single reference for this claim. The authors claim that DDT represents a public health hazard by citing two studies that, according to a 1995 WHO technical report, do not provide “convincing evidence of adverse effects of DDT exposure as a result of indoor residual spraying.” Furthermore, the authors misrepresent those defending the use of DDT. They claim that supporters view DDT as a “panacea”–dogmatically promoting it at every opportunity–yet they do not provide any evidence to back up their opinion. The United Nations is once again ramping up opposition to the use of DDT. At its third session, ending on May 4, 2007, “the Conference of the Parties of the Stockholm Convention requested its secretariat in collaboration with the World Health Organization and interested parties to develop a business plan for promoting a global partnership to develop and deploy alternatives to DDT for disease vector control.” Since there are so many players who want to sell alternatives to DDT, the chemical has few champions, and since those represented in this group are no friends of DDT, the partnership is likely to be broad, well-financed, and politically connected. It may prove to be the final nail in DDT’s coffin. DDT is no panacea, but it has a better track record on malaria control than any other intervention. Lives are lost every day because of continued opposition to its use. With development and modernization and, perhaps, a vaccine, DDT will one day no longer be necessary, but that day is still a long way off. 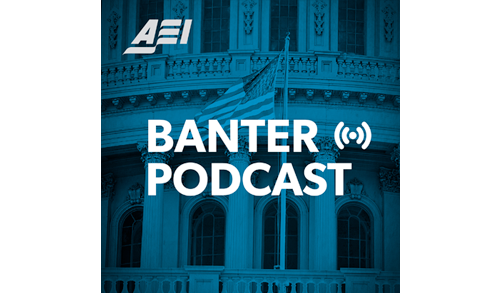 Roger Bate ([email protected]) is a resident fellow at AEI. 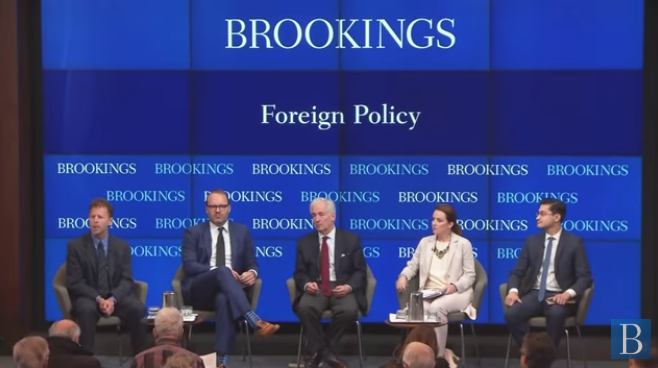 AEI research assistant Karen Porter and editorial assistant Evan Sparks worked with Mr. Bate to edit and produce this Health Policy Outlook. 1. See Fred L. Soper, W. A. Davis, F. S. Markham, and L. A. Riehl, “Typhus Fever in Italy, 1943-1945, and Its Control with Louse Powder,” American Journal of Hygiene 45, no. 3 (May 1948): 305-334. 3. G. Fischer, “The Nobel Prize in Physiology or Medicine 1948 Presentation Speech,” in Nobel Lectures, Physiology or Medicine 1942-1962 (Amsterdam: Elsevier, 1964), available at www.nobelprize.org/nobel_prizes/medicine/laureates/1948/press.html (accessed October 24, 2007). 4. Trustham Frederick West and G. A. Campbell, DDT: The Synthetic Insecticide (London: Chapman and Hall, 1946), 11. 5. Until then, there were numerous explanations of how malaria spread. The most accepted was that the foul air emanating from swamps gave people fevers, and hence the name of the disease derived from the Italian mal (bad) and aria (air). 6. See Gordon A. Harrison, Malaria, Mosquitoes and Man: A History of the Hostilities since 1880 (London: John Murray, 1978); and B. L. Sharp and D. le Sueur, “Malaria in South Africa–The Past, the Present, and Selected Implications for the Future,” South African Medical Journal 86, no. 1 (1996): 83-89. 7. Studies have shown that DDT is actually active against mosquitoes for far longer. One study found that DDT was active on walls for at least eleven months. 8. The first published reference to repellency was R. L. Metcalf, A. D. Hess, G. E. Smith, G. M. Jeffrey, and G. W. Ludwig, “Observations on the Use of DDT for the Control of Anopheles quadrimaculatus,” Public Health Reports 60, no. 27 (July 1945). The latest is from this year: John P. Grieco et al., “A New Classification System for the Actions of IRS Chemicals Traditionally Used for Malaria Control,” PLoS ONE 2, no. 8 (2007): e716, available at www.pubmedcentral.nih.gov/articlerender.fcgi?artid=1934935 (accessed October 24, 2007). 9. Erwin Heinz Ackerknecht, Malaria in the Upper Mississippi Valley, 1760-1900 (Baltimore: Johns Hopkins University Press, 1948). 10. U.S. Public Health Service (PHS), Malaria Control in War Areas, 1944-45 (Washington: Federal Security Agency, 1945), 134. 11. Ibid. The program was slated to spray 1,222,225 homes (17); by the end of the fiscal year, only 300,000 were sprayed (18), with about eight ounces of DDT used per house. A house was estimated to have an average size of 2,200 square feet, and DDT was sprayed at 100 milligrams per square foot (18). 13. U.S. Department of Health, Education, and Welfare, PHS, Communicable Disease Center, “Activities,” 1951-52, 27-29. Copy on file with author. 14. Richard Tren and Roger Bate, Malaria and the DDT Story (London: Institute of Economic Affairs, 2001), available through www.aei.org/book473/. 15. Gordon A. Harrison, Malaria, Mosquitoes and Man: A History of the Hostilities since 1880. 17. World Health Organization (WHO), Executive Board, 42nd Session, Appendix 14, The Place of DDT in Operations Against Malaria and Other Vector-Borne Diseases, 177. 18. Gordon A. Harrison, Malaria, Mosquitoes and Man: A History of the Hostilities since 1880. 19. Rachel Carson, Silent Spring (1962; New York: Houghton Mifflin, 1972), 198, 200-201. 20. Edmund Sweeney, “EPA Hearing Examiner’s Recommendations and Findings Concerning DDT Hearings,” 40 CFR 164.32 (April 25, 1972). 22. “EPA Chief Did Not Read All Evidence,” Register (Santa Ana, CA), July 23, 1972. 23. The delisting of DDT was the first project that the EPA undertook, and Ruckelshaus was probably eager to demonstrate the authority of the newly formed agency. 24. Environmental Defense Fund v. Hardin, 428 F.2d 1093 (D.C. Cir. 1970). 25. Barron’s, November 10, 1975. 26. Federal Register 44, no. 68 (April 6, 1979), 20785. 27. Federal Register 44, no. 147 (July 30, 1979), 44611. 28. Federal Register 45, no. 14 (January 21, 1980). 29. Federal Register 39, no. 129 (July 3, 1974); Federal Register 39, no. 171 (September 3, 1974); Federal Register 41, no. 224 (November 18, 1976); Federal Register 42, no. 8 (January 12, 1977); Federal Register 41, no. 144 (July 26, 1976); and Federal Register 42, no. 159 (August 17, 1977). 30. A. G. Smith, “How Toxic is DDT?” The Lancet 36, no. 9226 (July 22, 2000), available at www.malaria.org/smithddt.html (accessed October 24, 2007). 32. C. F. Curtis and J. D. Lines, “Should DDT Be Banned by International Treaty?” Parasitology Today 16, no. 3 (March 1, 2000): 119-121. See also Melville Litchfield, “Estimates of Acute Pesticide Poisoning in Agricultural Workers in Less Developed Countries,” Toxicological Reviews 24, no. 4 (2005): 271-78. 33. U.S. Department of Health and Human Services, PHS, Agency for Toxic Substances and Disease Registry, Toxicological Profile for DDT, DDE and DDD, September 2002, 108, available at www.atsdr.cdc.gov/toxprofiles/tp35.pdf (accessed October 24, 2007). 34. Bruce N. Ames and Lois Swirsky Gold, “The Causes and Prevention of Cancer: Gaining Perspectives on Management of Risk,” in Risks, Costs, and Lives Saved: Getting Better Results from Regulation, ed. Robert W. Hahn (Oxford: Oxford University Press, 1996), 4-35, available through www.aei.org/book663/. See also Roger Bate, ed. What Risk: Science, Politics and Public Health (Oxford: Butterworth-Heinemann, 1998), available through www.aei.org/book467/. 35. Bruce Ames, personal communication with the author, October 15, 2003. 36. Amir Attaran, Richard Liroff, and Rajendra Maharaj, “Doctoring Malaria, Badly: The Global Campaign to Ban DDT–Ethical Debate,” British Medical Journal 321 (December 2, 2000), available at www.bmj.com/cgi/reprint/321/7273/1403.pdf (accessed October 24, 2007). 37. See Richard Tren and Roger Bate, Malaria and the DDT Story. 38. WHO, “WHO Position on DDT Use in Disease Vector Control under the Stockholm Convention on Persistent Organic Pollutants,” 2005, available at www.who.int/malaria/docs/WHOpositiononDDT.pdf (accessed September 28, 2007). 39. Brian Sharp et al., “Malaria Control by Residual Insecticide Spraying in Chingola and Chililabombwe, Copperbelt Province, Zambia,” Tropical Medicine and International Health 7, no. 9 (September 2002), 732-36. 40. National Center for Infectious Diseases, Division of Parasitic Diseases, “Malaria Control in Uganda–Towards the Abuja Targets,” April 23, 2004, available at www.cdc.gov/malaria/control_prevention/uganda.htm (accessed October 24, 2007). 41. Roger Bate and Richard Tren, “AFM Writes to EU to Demand Explanation on DDT & Uganda Issue,” news release, April 6, 2006, available at www.fightingmalaria.org/pressrelease.aspx?id=709 (accessed October 24, 2007). 42. See the President’s Malaria Initiative’s website at www.fightingmalaria.gov (accessed October 24, 2007). 43. WHO, “WHO Gives Indoor Use of DDT Clean Bill of Health for Controlling Malaria,” news release, September 15, 2006, available at www.who.int/mediacentre/news/releases/2006/pr50/en/index.html (accessed October 24, 2007). 44. Arata Kochi, “WHO Malaria Head to Environmentalists: ‘Help Save African Babies as You Are Helping to Save the Environment'” (press statement, National Press Club, Washington, DC, September 15, 2006), available at http://malaria.who.int/docs/KochiIRSSpeech15Sep06.pdf (accessed October 24, 2007). 45. Sierra Club, “Sierra Club’s Position on the World Health Organization’s Promotion of Indoor Use of DDT to Control Malaria,” November 2006, available at www.sierraclub.org/toxics/ddt/ (accessed October 24, 2007). 46. For two malaria control programs–Zambia’s and that of the Lubombo Spatial Development Initiative (LSDI)–Global Fund monies were used to purchase DDT. 47. This was argued in the case of India. See Gordon A. Harrison, Malaria, Mosquitoes and Man: A History of the Hostilities since 1880, 251-54; and WHO Expert Committee on Malaria, Twentieth Report, WHO Technical Report Series 892, 2000, 38, www.rbm.who.int/docs/ecr20.pdf (accessed October 24, 2007). 48. LSDI, “Background,” available at www.malaria.org.za/lsdi/Background/background.html (accessed October 24, 2007). 49. LSDI, “Progress,” available at www.malaria.org.za/lsdi/Progress/progress.html (accessed October 24, 2007). 50. 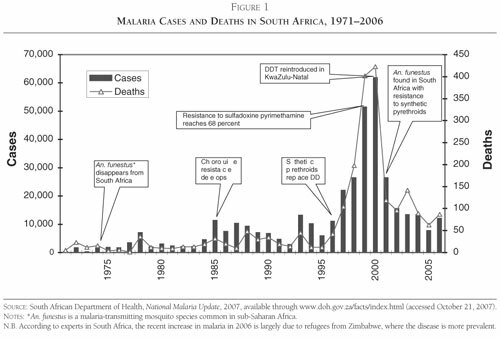 For a more extensive discussion of Mozambique’s more-than-twenty-year-old malaria eradication campaign, see Musawenkosi L. H. Mabaso, Brian Sharp, and Christian Lengeler, “Historical Review of Malarial Control in Southern Africa with Emphasis on the Use of Indoor Residual House-Spraying,” Tropical Medicine and International Health 9, no. 8 (August 2004): 846-56. 51. Alan Beattie, “Commercial Motive Hinted At in Restrictions on DDT,” Financial Times, September 29, 2005. 52. Hans J. Overgaard and Michael G. Angstreich, “WHO Promotes DDT?” The Lancet Infectious Diseases 7, no. 10 (October 2007): 632-33. 53. WHO, Vector Control for Malaria and Other Mosquito-Borne Diseases: Report of a WHO Study Group, Technical Report Series 857, 1995. 54. United Nations Environmental Program, letter to potential partners, August 10, 2007.